When thinking of diamond cuts, a round or square shaped diamond often comes to mind for most people. These shapes are popular, but there are more to diamond cuts than just round or square. Each cut has its own characteristics that make them unique and gorgeous. The shape and cut will have an impact on the appearance of a diamond. Since each diamond is cut to different specifications, they reflect light differently, giving each shape a unique fire and brilliance. With so many types of diamond available, it can be hard to know what pieces are worth an investment. And since diamond pieces are a long-term investment, it’s important to pick a piece that will stand the test of time. Cuts in diamonds help to make a diamond sparkle and shine better. When shaping a raw diamond, cuts or facets, are made in it. The cuts are placed in a way to maximize the amount of light that is reflected from the diamond making look clearer and shine brighter. Diamonds can be bought at any jeweler or precious gem specialist. You can even buy diamonds online, and we have provided the links to some diamonds available for purchase online. Diamonds can range in price from as little as $200 to more than $200,000. 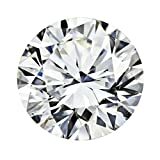 The following diamonds were reviewed based on their features, pros & cons, price, and availability. To ensure that we are giving our readers the best information and review possible, we hold each product reviewed to the same standards, so it is an even playing field. The diamond cuts listed below range in price from about $3,000 to around $100,000. Lower priced diamond cuts will still be beautiful and well made, however, more expensive diamonds may be bigger and have better clarity and color. This is the most popular diamond shape, representing approximately 75% of all diamonds sold. It has been popular for nearly 100 years, and diamond cutters have used theories of light behavior and even mathematical calculations to calculate and optimize the brilliance of the cut. 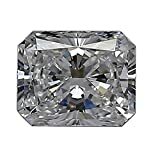 Due to the mechanics of its shape, the round diamond is generally superior to other cuts as it has the proper reflection of light, which maximizes potential brightness. This cut is also a flexible option, meaning you can pick between different cut, color, and clarity grades. 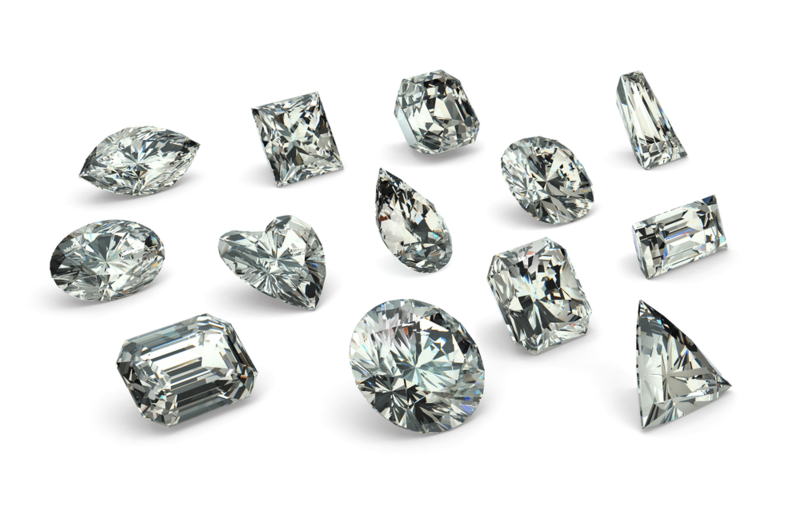 The higher quality grades you choose, the more brilliance will be brought out in the diamond. 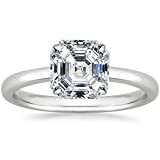 The princess cut shape is the second most popular cut, and because of its unique style and luster, it is a popular option for engagement rings. It was first created in 1980 and is available in both rectangular and square variations. Like round cut diamonds, princess cut diamonds are a good choice for their flexibility in working in almost any style of ring. 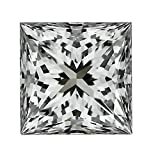 The color that is emitted from princess cut diamonds is very unique. 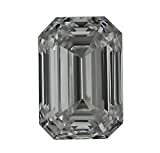 The color of other diamonds is displayed mainly in the center, but the princess cut diamonds show distinct color in each of the corners as well. This cut can vary drastically in how square or rectangular they are so many jewelers will offer an interactive diamond search function to let you pick the appropriate length-to-width ratio for your ring. The emerald cut has gained in popularity in recent years due to many celebrities choosing this style. These diamonds are cut in a style that was originally developed for emeralds and are known as step-cut diamonds because the flat facets at the diamond’s base and corners resemble steps. Instead of the sparkle of a brilliant-cut, emerald cut diamonds produce a hall-of-mirrors effect that showcases the diamond’s original clarity beautifully. Its large rectangular table (the flat area on the top) also makes the inclusions and the color more clearly. The cushion cut also known as the pillow cut diamond, is basically a square with rounded corners. This classic cut has been around for nearly 200 years, and for the first century of its existence, it was the most popular diamond cut. The rounded corners and large facets of this cut enhances its brilliance and highlight the stone’s clarity. These diamonds are available in square and rectangular shapes and are a great choice for people who like more vintage styled rings. 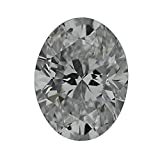 The oval cut diamond is a modified round cut, and it has a classic appearance with a modern twist. This cut became known in the 1960s and is popular because of its length, which can accentuate people with longer, more slender fingers. Because the oval diamond is a modified brilliant-cut, the 2 diamond shapes possess a similar fire and brilliance. However, oval cut diamonds have the added advantage of an elongated shape, which can create the illusion of greater size. 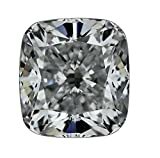 The oval cut diamond is a great option for people who are more interested in styles like the round diamond but want something a little bit more unique. Radiant cut diamonds are known for their signature trimmed corners, which make them a versatile and popular option for diamond lovers. The radiant cut diamond is the first rectangular cut to have a complete brilliant-cut facet pattern applied to both the crown (The upper half) and pavilion (the lower half), creating a vibrant and lively diamond. This cut is a great middle ground option because it offers the elegant rectangular style of an emerald shaped diamond with the sparkle of a round shaped one. The sparkle of this diamond cut looks beautiful when combined with a variety of other diamond cuts. The Asscher cut diamond was first produced in 1902 by the Asscher Brothers of Holland and is the predecessor to the emerald cut. This cut is similar to the emerald cut in that they both are square, but that is the only similarity. The Asscher cut has a visible X pattern when you look at it from a top-down view, larger facets, a higher crown, and a smaller table which makes it more brilliant than the emerald cut. It has been a popular engagement ring cut, with celebrities like Jessica Alba and Zooey Deschanel having them for their engagement rings. 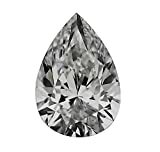 The pear cut diamond, also known as the teardrop cut, is a cut that has become more popular in the last few years. It has these names because the cut resembles a pear fruit or a drop of water. It is a combination of a round and a marquise cut with a tapered point on one end. A pear cut diamond should have excellent or very good symmetry. The point should line up with the apex of the rounded end, and the sides should be uniform, symmetrical curves. The slender pear shape will give fingers and hands a slimmer appearance while creating a soft and delicate look. The name of this cut is self-explanatory. The heart cut diamond is an obvious symbol of love and is popular in solitaire pendants and rings. However, with this cut, the size of the diamond may play a larger role than normal. 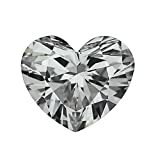 The heart shape is hard to discern in diamonds less than .50 carats, so if this is the shape, you’re after be prepared to go big. The marquise diamond has one of the largest surface areas of any diamond shape, making it a good choice when trying to maximize perceived size. It is also known as the football shaped cut, and it features 58 facets and has an oval design with pointed ends. This brilliant cut diamond is elongated and slender, and like the oval cut, it looks great on slender fingers and accentuates them. There are many diamond cuts, and all have their highlights and best features. Each different cut not only provides you with shape variances but also brilliance and clarity differences as well. Depending on what you’re looking for, the cut you choose can affect the overall look and feel of your diamond. In our opinion, the oval cut diamond is the best option here. It has an amazing brilliance; it magnifies its size, and it is more affordable than other cuts. But no matter which cut you choose you're sure to end up with something you or a loved one will cherish forever.